How to look as fly as the flight you are catching while being totally comfortable. Poonam Pandey looking cute in a super comfortable t-shirt dress at Mumbai Airport. 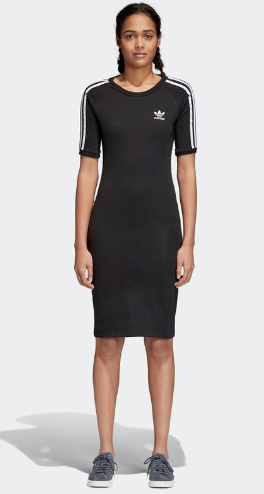 We love this sporty but cute Adidas t-shirt dress. $90 shop here. Sporty and comfortable look sported by Malaika Arora at Mumbai Airport. 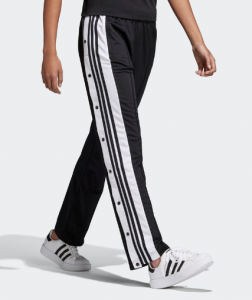 These tear-away pants are perfect for hot or cold weather; not to mention they are the height of streetwear trends right now - the perfect travel pant! These white and black Adidas tear-aways will match pretty much anything in your wardrobe. $100 shop here. Hailee Steinfeld wears splash pants with a simple black bodysuit for a relaxed yet chic look at LAX airport. 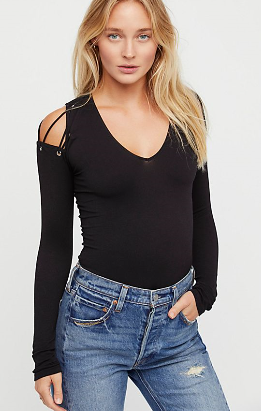 We love this "Coming Undone" bodysuit from Free People. It's a wardrobe staple; pair it with all your sport pants. $88 shop here. Jessica Alba made sweat pants and a sweat shirt look totally vogue by simply draping a trench coat over them to pull it all together; this is genius. 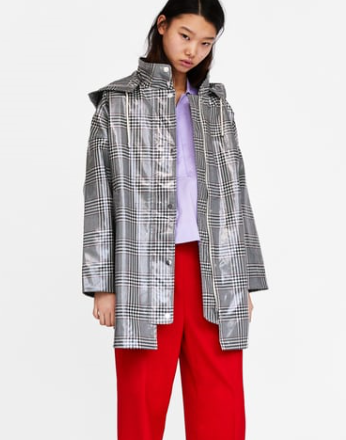 This black and white plaid trench coat from Zara is perfect for those chilly air-conditioned airports and spring/summer weather. Toss it over your tracksuit for the perfect finishing touch. $129 shop here. If all else fails, wear sunglasses. Gigi Hadid's over-sized shades are a brilliant travel accessory. No make-up, no problem. 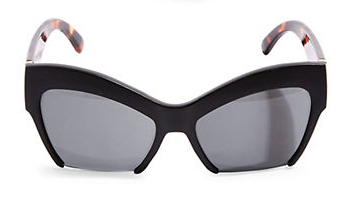 These "Cut-Off Cat Eye Sunglasses" from Top Shop are a modern take on the cat-eye style. $40 shop here.